In 1957, a group of Cypriot theatre artists (including actors, works, and students) led by George Eugeniou founded Theatro Technis and began performing works in a garage in Camden Town. In 1972, the company moved to a disused railway shed near King’s Cross Station. This change only lasted 6 years before the company moved to an old church house in Crowndale Road and converted it into a theatre; their present home to this day (which contains a for-hire main space, a rehearsal space, and a photography darkroom). 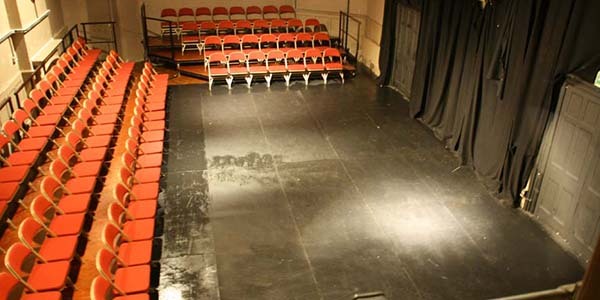 The theatre is host to musicals, classics, new writing, international plays, live music, horror theatre, and Greek tragedies. Theatro Technis also runs music and theatre workshops for people of all ages, and accept unsolicited scripts (email only). Theatro Technis maintain a passion for alternative theatre, particularly work inspired by Greek or Cypriot artists. Before you go, join our Mailing List! pre-sales and discounts for major shows that are not advertised on our site? It’s our way of thanking you for supporting us - and it's free!